Following the exciting news that award-winning mental health campaign #IAMWHOLE is hosting a brand new initiative Music 4 Mental Health, today organisers have announced that Ed Sheeran, Ella Eyre and James Arthur will join the already-stellar equally-billed showcase at London’s Roundhouse, as well as revealing official ticket outlets and on sale dates. Tickets for the inaugural #WHOLE Presents Music 4 Mental Health will go on general sale from 8am on Friday 7th September and are available via the official Roundhouse.org.uk venue site and WHOLE.org.uk site, where more information on the event can be found. In a staunch effort to combat touts, Music 4 Mental Health has appointed Twickets as the official resale partner for the event. 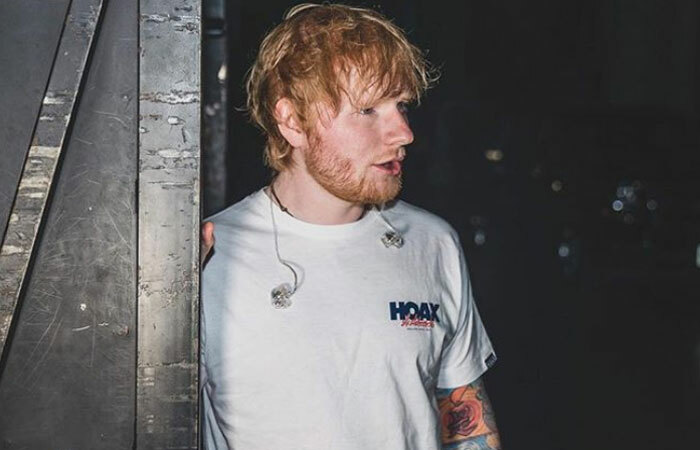 Opening the debut Music 4 Mental Health fundraising concert with a very special stripped back acoustic set is none other than Ed Sheeran – one of the world’s biggest and best-selling pop-stars of all time. A sofa-surfer turned megastar has seen global success, not only topping the charts but breaking them; last March the ‘Perfect’ and ‘Galway Girl’ singer had nine songs in the top 10 at the same time. ampills.com. A prominent previous supporter of the #IAMWHOLE campaign and a figure who hasn’t been shy to vocalise his own journey with mental health, we are thrilled to have Ed kicking off proceedings with his stripped back set. Also joining the bill alongside Ed Sheeran, Anne-Marie and Olly Murs on Sunday 18th November is pop phenomenon Ella Eyre. Described by the Evening Standard as a ‘Brit Beyonce’, the Brit school graduate was first catapulted to success as a guest vocalist on Rudimental’s No 1 track ‘Waiting All Night’, and since then has won over audiences around the world with her uptempo blend of galeforce and soulful vocals and high energy R&B vibes. Another figure who has been a strong advocate for mental health, Music 4 Mental Health looks forward to welcoming Ella to the Roundhouse stage. Previous Olly Murs announced for #WHOLE Presents Music 4 Mental Health Concert!